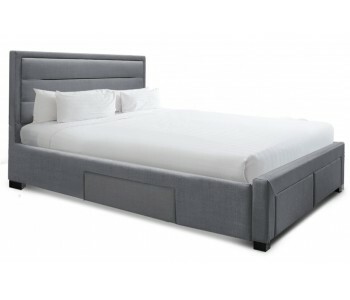 The Maroubra Upholstered Tallboy echoes the modern sophistication of the Maroubra Upholstered Storage Bed. This fine quality tallboy features five spacious drawers with a brushed chrome tab handle. Store your clothes, knick knacks and other valuables and organise your room for a clean and clutter free space. Smart, stylish and durable, the Maroubra Tallboy is a gread addition to your bedroom. All items in stock are eligble for Nexy Day Delivery for Sydney Metro Orders. Ask us if you can get your Maroubra 5-Drawer Tallboy delivered to your bedroom by tomorrow!